Hinode Taiko | HT on the JUMBOTRON!! HT on the JUMBOTRON! !, originally uploaded by hinode taiko. 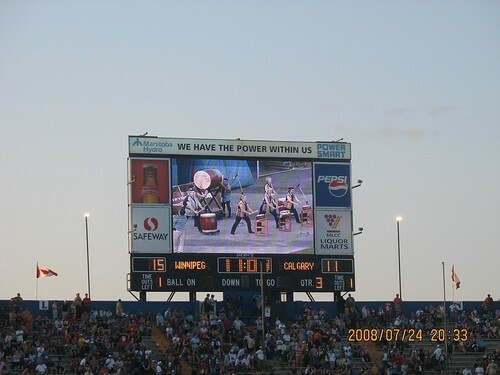 Here’s a couple of pix from HT playing at the half-time show at the Bombers game Thursday July 24th….gotta love that Jumbotron shot! The total stadium audience was 26,882 – a new record for HT! 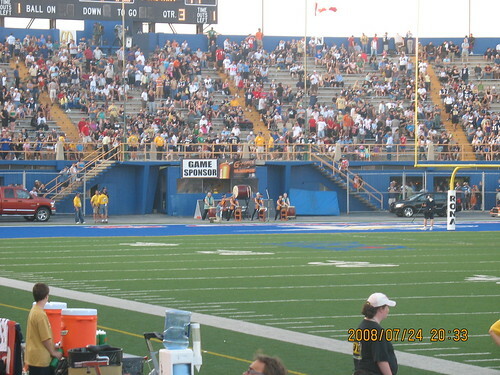 HT at the Bomber Game, originally uploaded by hinode taiko.